Researchers from MIT have developed a new method of building windows that can switch from transparent to opaque, blocking sunlight on hot days and potentially saving energy as well as decreasing air-conditioning costs. 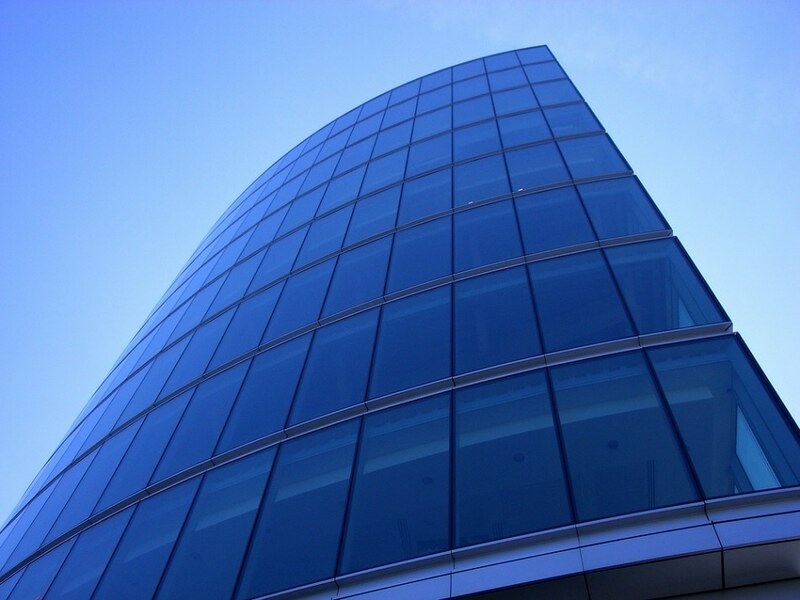 Although there are other systems in the market that cause glass to darken, the new method provides noteworthy advantages by integrating fast response times and minimal power requirements. Compared to other materials, it only requires electricity when it has to switch back again. The research paper by MIT professor of chemistry Mircea Dinca, doctoral student Khalid Al-Kaabi, and former postdoc Casey Wade, now an assistant professor at Brandeis University has been published in the online Chem journal this week. The innovative system uses electrochromic materials, which change their transparency and color according to an applied voltage, Dinca explains. These are comparatively different from photochromic materials, which are used in certain eyeglasses that become darker when the light becomes brighter. Such materials possess a much slower reaction time and withstand a smaller change in their opacity levels. Currently available electrochromic materials also have similar limitations and are use only in specialized applications. For instance, electrochromic windows are present in Boeing 787 aircraft to prevent bright sunlight from streaming into the cabin. The windows become darker when the voltage is turned on, Dinca says, but "when you flip the switch, it actually takes a few minutes for the window to turn dark. Obviously, you want that to be faster." The delay is caused due to the changes within the material relying on a movement of electrons that bestows the whole window with a negative charge. Positive ions then travel through the material to re-establish the electrical balance, generating the color-changing effect. Electrons flow quickly through materials, while ions travel much more slowly, hindering the overall response speed. The MIT team resolved this issue by using sponge-like materials known as metal-organic frameworks (MOFs), which can transmit both ions and electrons at very high speeds. These types of materials have been used for nearly 20 years for their ability to store up gases inside their structure. However, it was the MIT team to first harness them for their optical and electrical properties. The other issue with current versions of self-shading materials, Dinca says, is that "it's hard to get a material that changes from completely transparent to, let's say, completely black." Even in the 787 the windows can only switch to a dark shade of green instead of becoming opaque. In earlier research of MOFs, Dinca and his students had created material that could transform from clear to shades of green or blue, but in this recent research they have accomplished the goal of creating a coating that has the capacity to change from perfectly clear to virtually black. This was possible by mixing two complementary colors, red and green. The new material is formed by blending two chemical compounds - a metal salt and an organic material. Upon blending, these automatically assemble into a thin film of the switchable material. It's this combination of these two, of a relatively fast switching time and a nearly black color, that has really got people excited. There is more potential for these new windows than only preventing glare he says. "These could lead to pretty significant energy savings," he says, by significantly decreasing the need for air conditioning in buildings with several windows in hot climate regions. "You could just flip a switch when the sun shines through the window, and turn it dark," or even automatically convert a whole side of the building dark all at once. The material’s properties have been demonstrated only in a laboratory setting. Now, the team will have to build a small-scale device for advance testing - a 1-inch-square sample. This will be used to exhibit the concept in action to potential investors, and to help decide on the manufacturing costs for these types of windows. Dinca says additional testing is also required to show what they have learnt from groundwork testing: that once the switch is turned on and the material changes color, it does not need extra power to sustain its new state. Additional power is not needed until the switch is turned again to bring the material back to its previous state, whether opaque or clear. In comparison, several currently available electrochromic materials need a constant voltage input. In addition to smart windows the material can also be used for certain kinds of low-power displays, similar to displays such as electronic ink that is used in devices such as the Kindle and based on MIT-developed technology, but based on a entirely different approach. The research was partially funded by an organization in a region where such light-blocking windows would be particularly useful: The Masdar Institute, based in the United Arab Emirates, through a cooperative agreement with MIT. The research was also supported by the U.S. Department of Energy, through the Center for Excitonics, an Energy Frontier Center.